It’s one of the very first words our kids learn in Hebrew school. I am going back to the basics of my own Hebrew education. I am hearing people in my own life, mostly women, but people of all genders, sharing their stories and experiences of being harassed and abused. Their stories of near-misses – keenly aware in their high school and college years of who the angry drunks were, of which social groups and fraternities to avoid, of friends of theirs who weren’t so lucky to avoid those people and those groups. This past week, these past several months, following the #metoo movement, has prompted me to listen more fully, to listen the way our Jewish tradition calls us to, to listen more attentively to survivors of assault and believe people who speak out about their trauma. 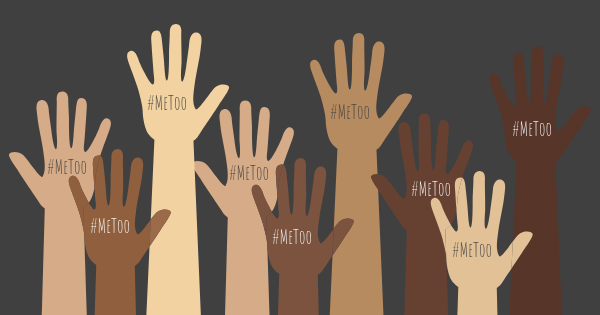 I am listening as women Jewish professionals come forward to share their experiences of sexual harassment that shocks me – harassment heaped on them because people feel free to make comments to them that they would never make to me. I am listening to all people who are willing to put everything on the line to publically tell their stories of being sexually harassed and worse. They are doing this for no self-aggrandizing reason – to the contrary. They are speaking up at great personal, professional, and reputational risk, and I believe them. They are speaking up because they should not have to be silent; because no other person should have to experience what they have, because they cannot allow people in positions of privilege and power to abuse others. And I know that I speak for my colleagues, Rabbi Reines, Cantor Kipnis, Rabbi Lenza, and Rabbi Schachter when I say, “We are listening.” We are here if you have a story you need to tell. We are here with you. And we believe you.